The Boston ecosystem for tech startup investing just got a little more active. 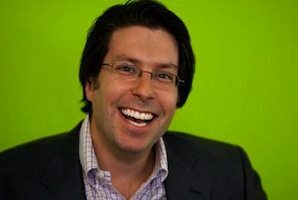 Boston Seed Capital said today it has hired Dave Balter, the CEO of BzzAgent, as a venture advisor (see photo, right). Balter joins Peter Blacklow from Worldwinner, now executive vice president of digital for GSN, as a top advisor to the fund. Both are keeping their current roles in their respective companies as well. There is a question of how Boston Seed will differentiate itself from other local micro-VC funds such as NextView Ventures and Project 11 (not to mention angel groups). Stata herself has expertise in software as a service, human capital management, and business software. Blacklow brings plenty of gaming and marketing know-how. And the addition of Balter brings more leadership in marketing, social media, and company-building, as well as more contacts with entrepreneurs, investors, and thought leaders. Great move! Dave is a terrific addition to Boston Seed Capital. Congrats to Nicole and Peter and excited to see BSC being very active in the Boston market. We’ve worked with Boston Seed Capital as co-investors in peerTransfer and they are also LPs in the Boston TechStars program. Nicole and Peter are a super team – congrats, Dave!